U.S. congressional candidate Conor Lamb (D-Mount Lebanon) apparently secured a narrow victory in the March 13 special election for Pennsylvania’s 18th U.S. Congressional District by outperforming former Democratic presidential candidate Hillary Clinton just about everywhere. 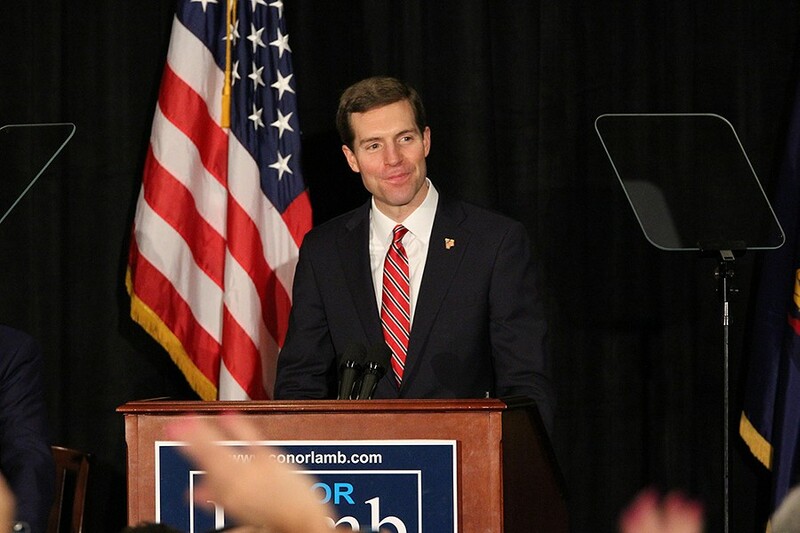 In fact, Lamb won 172 district precincts in PA-18 that voted for President Donald Trump in 2016. With all votes in, except for a few hundred provisional ballots, Lamb holds a 647 vote lead over Pennsylvania state Rep. Rick Saccone (R-Elizabeth). The New York Times has called the election for Lamb, but an official declaration has not been made. 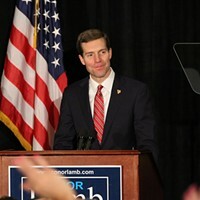 According to campaign insiders and strategists, two of the most important towns for Lamb’s victory were Bethel Park and Upper St. Clair. These towns traditionally support Republicans. Trump won Bethel Park by a 8.4-point margin and won Upper St. Clair by a 3.4-point margin in 2016. Lamb won Bethel Park by 9.9-point margin and won Upper St. Clair by a 10.2-point margin. Mark Devin Harris, a Republican strategist for Pittsburgh political-consulting firm Cold Spark Media tweeted on March 13 the election was “over” once Lamb secured such large victories in Bethel Park precincts. 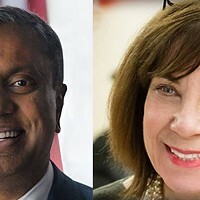 The next day, Harris tweeted the Republican performance in southern Allegheny County suburbs like Bethel Park and Upper St. Clair should serve as a wake up to Republicans throughout Pennsylvania. Lynne Hughes, a Lamb volunteer and member of progressive grassroots group Progress 18 PA, says Bethel Park and Upper St. Clair would be a linchpin for a Lamb victory. Hughes, an Upper St. Clair native, spent many shifts canvassing in Upper St. Clair trying to convince voters to support a Democrat. She says that even though Upper St. Clair supported Trump in 2016, things have changed in the year and a half since. She says voters there have soured on Trump and it wasn’t too difficult to sell Lamb. Hughes believes a tide has turned in Upper St. Clair and it's unlikely that the town will back Republicans any time soon. In the 2017 municipal elections, Democrats also did well in Upper St. Clair. “I don’t know if those voters will go back to the Republicans,” says Hughes. Mary Ann Raymer, of Bethel Park, was also a Lamb volunteer and member of Progress 18 PA. She says the grassroots volunteers made a concerted effort to focus on Bethel Park. 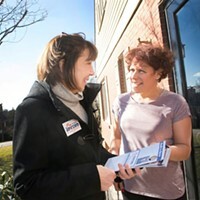 She says for weeks before the election canvassers were out at least twice a day knocking on doors, as well as participating in phone banks and sending postcards. “We were not going to let Bethel Park residents vote for Republicans,” said Raymer. It appeared to pay off, as Bethel Park and Upper St. Clair not only flipped for Lamb, but also provided him a large amount of votes. Outside of Mount Lebanon, a large Democrat stronghold, Bethel Park and Upper St. Clair provided the largest quantity of Lamb votes of any town in Allegheny County. Lamb secured 7,226 votes in Bethel Park and 4,746 votes in Upper St. Clair. Raymer, like Hughes, says that convincing Bethel Park residents to back Lamb was easier when those voters were upset with the chaos of the Trump presidency. “For people that said ‘I am disappointed, I am embarrassed,’ we just spent time talking about [Lamb] and it seemed to work,” says Raymer. She also noted that many suburban women were motivated to support Lamb and even pressured their husbands to vote Democratic. “Some wives told their husbands ‘don’t come home if you don’t have that voting stub,’” says Raymer. What’s with Rep. Conor Lamb’s procedural votes against the Democratic Party?